The American job market is focusing its collective gaze on the haze of the legal cannabis industry. West coast workers especially are locked in an eternal straw draw, with select individuals finding gainful employment working with weed, while others wash back into the job applicant pool. If you’re wondering how to find a marijuana job, you’re not alone! Even though the cannabusiness seems chill and abundant from the outside, the job market is competitive and the wages reflect the usual ebb and flow of a worrying state and federal economy. While answering the question of how to find a marijuana job is our main focus, it’s good to start off with a healthy knowledge of what hotly pursued marijuana jobs are out there. While underground cannabis grow operations and collectives have been thriving for decades, the legal market is proceeding with caution into unknown territory. Cannabis regulation for both medical and recreational cultivation, production and distribution operations is incredibly stringent. Regulatory oversight is an omnipresent facet of the business–ironically, cannabis dispensaries are put in a riskier position than other businesses as federal banks won’t work with cannabis and limit pot shops to engaging almost exclusively in cash based sales. This increases the cannabis industry’s already high rate of crime by basically facilitating internal and external theft. When discussing how marijuana legalization has affected culture, it’s likely that cannabis dispensaries come to mind. As recreational marijuana laws have bolstered medically legal states and more regions across the U.S. are adopting legalization measures, pot shops have been opening storefronts on streets in major cities and smaller neighborhoods around the country. More storefronts means more marijuana dispensary jobs for those interested in breaking into this exciting industry. Largely, cannabis dispensaries maintain the sort of general setup one can expect from visiting a coffee shop from one end of town to the other. Sorta. Obviously, dispensaries have a more complex setup than other retail industries, but each shop offers generally the same experience. Budtenders are the retail associates behind a counter chock-full of cannabis products. Everything from varying marijuana flower strains, concentrates, edibles, tinctures and more can all be explained thanks to the budtender’s wealth of industry knowledge. The main responsibility of a budtender is to assist customers. In general, budtending is pretty run of the mill as far as service positions go–employees help customers select and pay for products, before heading back out into their daily lives. Unlike baristas and bartenders however, budtenders are lauded for their ability to tailor their service to each customer. Especially when assisting medical patients, budtenders must be able to proficiently suggest products that will facilitate the most ideal medicinal effects. For more information on the specifics of how to find a marijuana job as a budtender, read our budtender jobs article to get an idea of what employers are looking for. Working as a dispensary receptionist is a great way to break into the cannabiz. Receptionist jobs don’t usually require the same prerequisites as budtending or supervisor positions, making this a kush gig to work your way up the ranks. Receptionists are primarily responsible for checking customers in, processing their identification and keeping all store records and literature well organized. Just because reception isn’t the highest ranking job in a dispensary’s hierarchy doesn’t mean this position isn’t important. Receptionists have to constantly keep up with compliance, assist supervisors with any tasks that require their attention and answer customer inquiries. Receptionists must be simultaneously good communicators and administrators. Many dispensaries are set up in a way that allows for receptionists and budtenders to combine their roles depending on staffing needs. Marijuana dispensary managers are experienced supervisors who make sure that daily dispensary operations are running smoothly. Managers are tasked with reviewing and interviewing job applicants, before hiring, training and scheduling new and existing employees. Managers frequently pull double duty as customer servers and supervisors. It’s not unlikely to see dispensary managers working as budtenders or at the front desk. Essentially, hiring managers fill in wherever they are needed, in order for business to operate successfully. Owning a legal cannabis dispensary is less a job and more a lifestyle. The level of commitment it takes to get a pot shop on its feet can be understood by the sheer amount of capital investment required, paperwork filled out, consultants hired and compliance assured. Dispensary owners may have the “highest” position in their store, but they also have the most opportunity for individual financial loss and responsibility therein. While not every dispensary takes advantage of hiring out security guards, all dispensaries have some form of security measures to protect against theft. Marijuana dispensary security guards are hired in some instances to check IDs, as bouncers at a club would do. Additionally, security guards obviously enhance a shop’s confidence in protecting against crime. Security may not seem like a very pot-centric position for dispensary work, but it is yet again another avenue to break into the industry without having direct cannabis work experience. We all know that you can’t have cannabis without growing it first, so marijuana cultivation jobs are in very high demand. The history of cannabis cultivation is steeped in big fish tales of the true and not-so-true variety, but ultimately legal cannabis cultivation can be carried out in a large or small manner, with a variety of different methods used to grow, harvest, trim and process cannabis flower. Growing cannabis for large scale distribution opportunities is a massive undertaking. While plenty of people around the world may have successfully cultivated their own crop of one or more plants, master growers and their team facilitate the growth of many plants and must optimize the crop to meet the demands of a booming sales industry. Growing teams come with years of experience and often times, advanced degrees in areas like horticulture and agriculture. There are innumerable controlled and uncontrolled factors that can influence cannabis plant growth positively and adversely, so a knowledgeable team who can quickly think on their feet is of utmost importance for a grow operation to succeed. After cannabis plants have fully matured and the colas have been harvested, it’s time to introduce the trimmers. Trimmers are quick, detail oriented cannabis manicurists who snip away excess plant matter from the compound-rich flowers, which contain significantly higher concentrations of cannabinoids like THC and aromas in the form of terpenes. As more products become available for medical and adult consumers, the increase in production of alternative methods for consuming cannabis are a sign of a developing cannabis culture. Cannabis concentrates are popular among both medical patients who appreciate the more sustained effects and high cannabinoid levels and adult rec. consumers who appreciate the intense high that concentrates can provide. This process of extraction is carried out by using solvents like butane and CO2 by converting the substances from a gas to a liquid by applying heat and pressure. One of the many “dream jobs” I hear passionate potheads refer to is professional edibles creation jobs. Becoming an edibles chef, or working in a cannabis kitchen at all is a pursuit that usually requires some previous non-cannabis kitchen experience. Whether you’ve attended an accredited culinary school, or worked your way up the ranks of restaurant kitchens, edibles creators are talented bakers and chefs who use their skills in measurement and knowledge of food and cannabis to infuse edibles with cannabutter or concentrates. When searching for how to find a marijuana job in edibles creation, consider that it is deceptively tricky. The examples listed above cover many careers in the legal cannabusiness, but there are by no means the only jobs out there. Virtually any job can be applied to the cannabusiness, including marketing and advertising, strain criticism, publishing, modeling, consulting, accounting and many more. How to Find a Marijuana Job? Now that we know what’s out there, let’s get down to business. So, how to find a marijuana job? Finding a cannabis job can be broken up into two parts: locating an open job position, as well as actually acquiring the job. As far as how to find a marijuana job that is accepting applications, research and location are your best friends. Researching the legal marijuana biz may seem unnecessary to the most confident of stoners, but frankly, anyone can smoke a lot of weed–not everyone, however, can make a great cannabis industry employee. 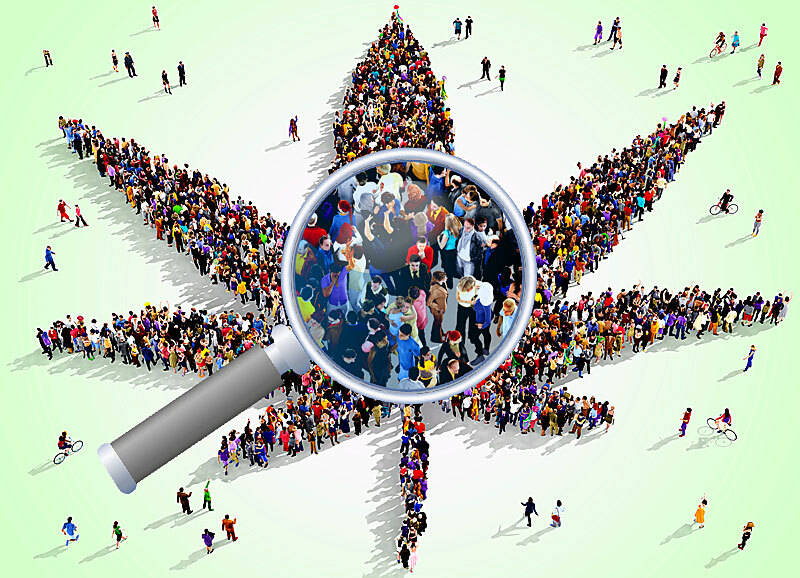 Research allows for job applicants to get a leg up on the competition by familiarizing themselves with their local cannabis law and tailoring their job pursuits around that. Realistically, location is still a major player in job candidates’ ability to procure weed jobs. Since most of the east coast and midwest are still undeveloped as far as embracing cannabis culture goes. Not only does it matter what state you’re located in, (remember that cannabis legalization is still a state run initiative, not federal…yet) it also matter what kind of neighborhood you live in. If you’re looking to find more entry-level work in cannabis dispensaries or trimming warehouses, consider these top 3 cities to enjoy cannabis culture: Denver, CO, Portland, OR and Seattle, WA. Cities are likely to have a higher concentration of cannabusinesses, meaning more job opportunities. If you’re looking for employment on a large scale grow operation, you may instead consider exploring California, especially in Humboldt County, where the cultivation biz has historically thrived. I’ve said this ad nauseum, but it remains true: the cannabusiness is all about who you know. If you’re anything like me, you are absolutely tired of hearing this, especially when you don’t feel very connected to your industry of interest. For those individuals with pre-existing friends in the cannabusiness, odds are if they wanted a job working with weed, they already got it. Connections don’t guarantee you will get a job, but it sure helps. Especially since employers already have to sort through hundreds of anonymous applications, it helps to have some established credibility from a friend or fellow employee. If you’re scouring the inner recesses of your Facebook friend list and can’t come up with any connections, it’s time to befriend some dispensary workers. I am not suggesting you go force a budtender to be your friend, however, I do suggest striking up conversation and asking your budtender questions. It’s highly likely they will have some valid advice, even if they don’t have any direct pull in how to find a marijuana job. While having connections can be a major asset, not having them is not the end of the world. Having moved to Portland, Oregon on a whim from New York, I approached the industry blind, ultimately applying for several jobs before landing my first gig. I had no real prerequisites or knowledge of how to find a marijuana job, or where for that matter. Getting hired for a popular weed job on your first try is unlikely. This is not meant to be discouraging, and I hope you prove my theory wrong. I only mention this because I’d like to encourage applicants to applying to several similar jobs if possible in order to strengthen their chances. In the past, Craigslist used to be the primary mode for how to find a marijuana job in the grey and green market cannabis jobs, but the site isn’t really suited for such a niche position. For this reason, job boards like us and others like Weedhire.com are making the transition from the old underground industry to the shiny green rush a lot more streamlined. I wish I had a list of easy avenues to achieve cannabis industry success, but the world doesn’t work like that–what I can tell you however, is that immersing yourself into the cannabis community is a sure fire answer to how to find a marijuana job. Hanging around like-minded individuals will expose you to a greater number of industry opportunities. How to find a marijuana job you ask? Lot’s of ways! The process of getting that dream position working with weed may not happen overnight, but just like the industry, more possibilities will open as the mainstreaming of cannabis culture and medical efficacy deepens. If there’s one thing to take away from this piece, it’s this: don’t give up! Though it may require a fair amount of effort, the payoff is worth it! Many people who have spoke on successfully transitioning into the legal marijuana industry are experiencing the best jobs of their lives and have vowed to never go back to their run-of-the-mill career.